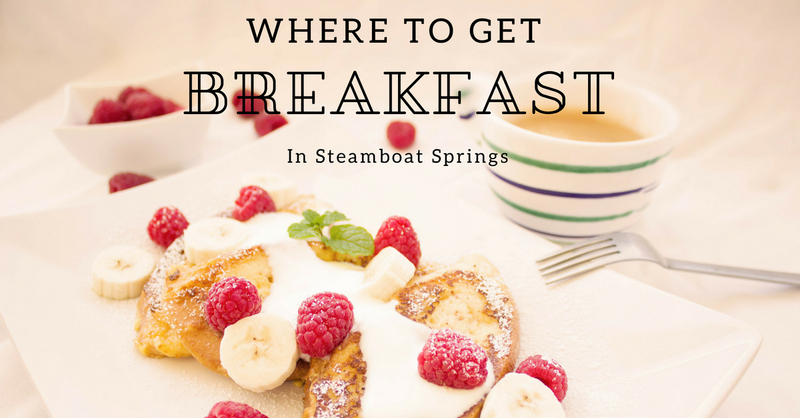 Everyone enjoys dining out for breakfast and Steamboat has many delicious places to do just that. From Hilltop Lane to 12th Street, here are some of the top rated breakfast spots in Steamboat Springs. Freshies Restaurant is the most southern located restaurant on this list located off of S. Lincoln Avenue. They offer a menu of American breakfast and lunch choices including a full bar. Freshies prides themselves on partnering with local farms in the area and throughout the state to provide the best, freshest food possible. From granola to breakfast enchiladas, their breakfast menu displays both healthy and appetizing choices. Pair your early meal of choice with a bacon bloody mary or an espresso "sip" of your liking. Freshies Restaurant is open year round and has a noteworthy patio, so stop by or check out their website below. Further north, we have Winona's Restaurant. You will have plenty of options at this bakery-and-restaurant-in-one located off of Lincoln Avenue. Serving world famous homemade cinnamon rolls and a plethora of omelets and burritos, you better come hungry! Winona's offers traditional favorites such as corned beef hash, biscuits and gravy, and an array of benedicts. Patrons praising them with statements like "best breakfast I have ever had" and "Winona's is the heart of Steamboat", makes you anxious to hurry in for breakfast or lunch in this homey cafe. Creekside Cafe & Grill is located right next to Soda Creek off of 11th Street. The ambiance of sitting right at the water's edge for your morning meal is nothing short of blissful. As a busy destination in Steamboat, it is advised to call ahead, but many say it is worth the wait. Serving 13 types of legendary Eggs Benedicts, "Creekside Classics", and a "Routt County Heritage Menu", there are numerous choices for breakfast. An award-winning breakfast, lunch, and service stop that will leave you feeling satisfied and relaxed. A seat near the creek awaits you. Rootz is a local health food restaurant that offers vegan, vegetarian, & gluten-free options. Enjoy the funky atmosphere in this artsy cafe located off Lincoln Avenue and 8th Street. Wake up and smell the smoothies because they have a great deal of smoothie flavors available. If smoothies aren't your thing, try a fresh, organic juice or an iced coffee. Their breakfast menu includes some lighter options, breakfast burritos and paninis, and gluten-free sandwiches. Feed the breakfast craving with a healthy, yet succulent choice at Rootz. Your body is sure to thank you! Steamboat Springs has an enormous choice of breakfast destinations for the city's size and each one is rewarding in its own way. So spend your morning at one of these local favorites and enjoy a new, or old favorite, breakfast in Steamboat.